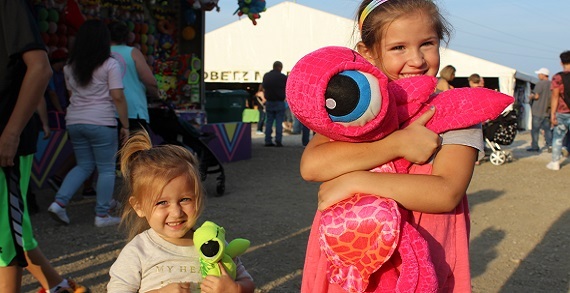 Free admission, free concerts and everything zucchini at this four-day, family-friendly event! National entertainment rocks the Zucchinifest main stage in Fortress Obetz with free concerts on Saturday and Sunday. Local artists perform throughout the weekend. Get refreshed at the Zucchinifest Beer Garden while enjoying free entertainment. Monday is Kids Day featuring the Cincinnati Circus Company, COSI, and the Columbus Zoo. 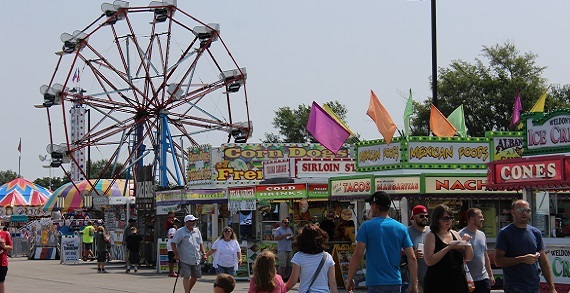 The midway has plenty of rides and games for kids of all age. More than 20 food vendors participate in the Festival so get your fill of flavorful zucchini items. There are dozens of arts and crafts vendors offering unique items for sale. Start growing your zucchini soon so you can participate in the zucchini judging. Prizes are awarded for biggest zucchini; smallest zucchini; most unusual; and best dressed. Enter your dessert, relish, or zucchini bread into our culinary competition. Don't miss the Classic Car and Motorcycle Show.